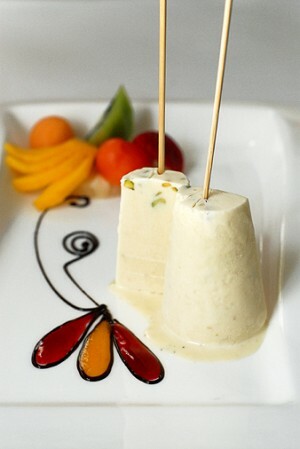 Delicious Kulfi recipe by Shaista Bilal at DesiRecipes.com. 1 can of sweetend condenced milk. 2 cups of whipped cream. Pour condenced milk, evaporated milk, and whipped cream in a blender, also add slices of bread, pistachio and almonds in it, and mix it until every thing is dissolved or pistachio and almonds are fully crushed. Now pour it in ice popsicals and put it in a freezer for over night or until it freezes. Then take it out and enjoy.